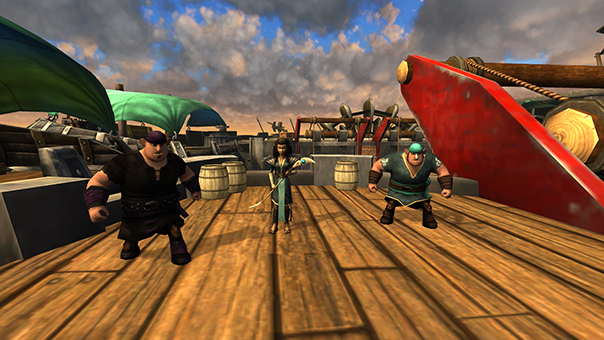 The Tempest is the ship of the feared pirate captain, Nikora Stormheart. Like its captain, it is as powerful as it is beautiful. 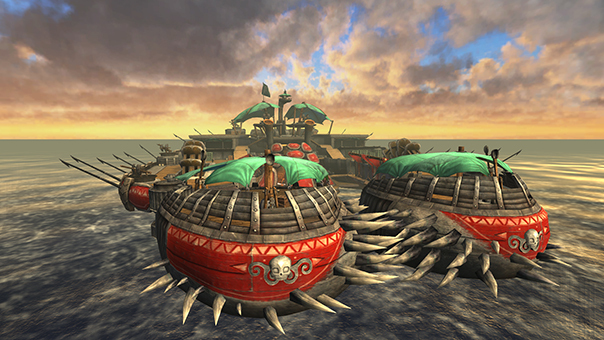 Skull-shaped decorations adorn the ship, allowing those nearby to know that it belongs to Stormheart. In addition to its impressive appearance, The Tempest also possesses the ability to inflict a severe amount of damage on its opponents. The ship itself has two claws with sharp spikes covering the entirety of the vessel. The Tempest is steam powered, using the might of Moldruffles and a Titan Gronckle to propel itself through the waters. 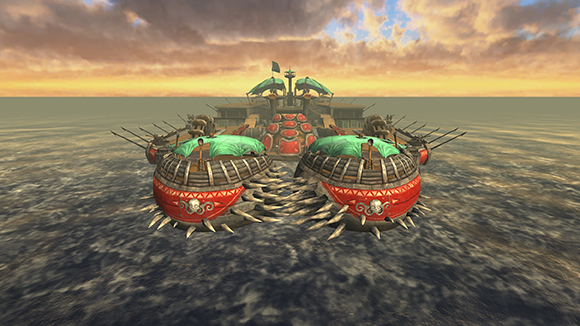 Stormheart’s ship also contains a mechanism that allows the spiked fore sections to roll open and allow smaller seafaring vessels to exit The Tempest. 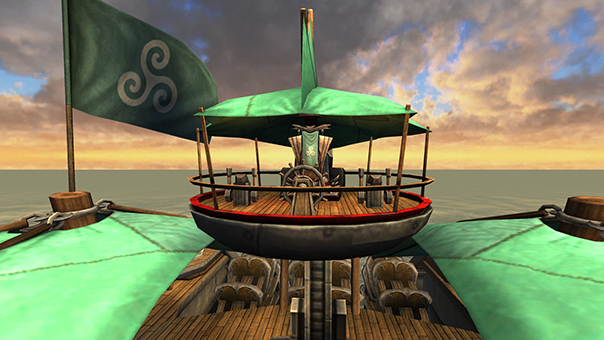 The helm of The Tempest is situated at the rear of the vessel. 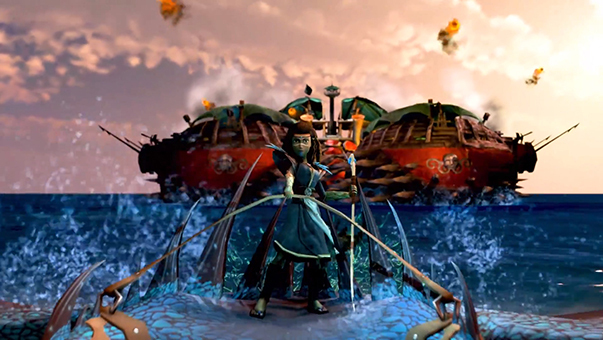 Here, you can find Captain Nikora Stormheart steering her dreaded ship across the seas. If you want to challenge Stormheart here, you must also take on the might of The Tempest. This is not a quest for a Viking that is faint of heart, but if you are willing to face off with Nikora Stormheart and The Tempest, remember to bring all of your courage and cunning with you! Foolish are those who dare question the might of The Tempest, for there is no ship in the sea that could stand a chance against it. What is more frightening than the ship itself is its captain, Nikora Stormheart. Alone, the two of them are formidable opponents. Together, they are a force powerful enough to make even the strongest Viking tremble in fear. 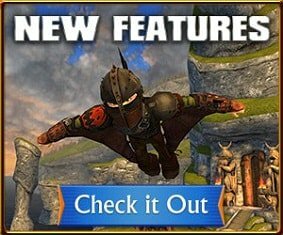 I urge those of you daring enough to seek out The Tempest to abandon this foolish endeavor. However, if you must face this ship, I advise you pray to the gods for strength.